Rana Banerji, who headed the Pakistan desk at the Research and Analysis Wing, India's external intelligence agency, on the latest changes among Pakistan's top generals. As anticipated, Major General Sahir Shamshad Mirza made the cut easily on the basis of his impeccable record. He is from the Sind Regiment. Pakistan army chief General Qamar Javed Bajwa appears to have unabashedly plumped for three others -- Major General Nauman Mahmood, Major General Azhar Abbas and Major General Faiz Hamid, all from his Baloch regiment. Their new assignments are yet to be known. Two of the newly promoted generals could be slotted to the Karachi and Bahawalpur corps commands. 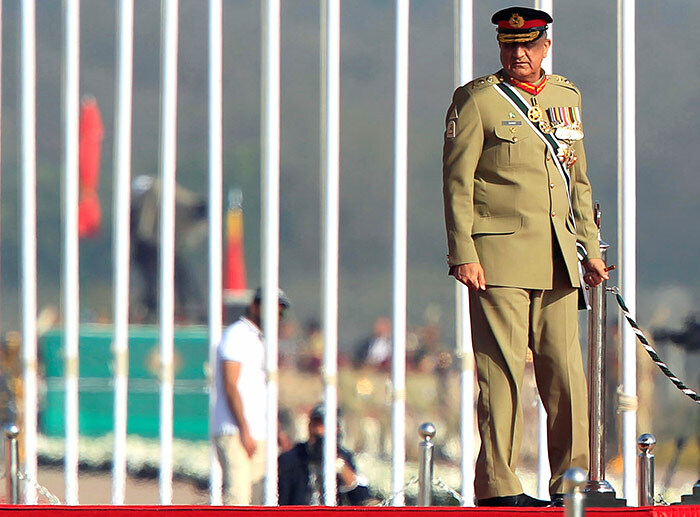 With these promotions, the present strength of Pakistan's lieutenant generals goes up to 27. Of these, 7 are from the armoured corps, 2 from the corps of engineers, 1 from air defence, 3 from artillery and 14 from infantry regiments (4 frontier force, 3 Punjab, 3 Baloch, 2 Sind, 1 each from the Azad Kashmir regiment and mujahid force). The next set of retirement and promotions of Pakistan's lieutenant generals, the last which General Bajwa will handle if his tenure as army chief is not extended, will fall due on September 23, 2019.
Who will Pakistan army chief promote? Column: Is Pakistan blackmailing PM, NSA?